Sogdia was a Central Asian kingdom which flourished between the fourth and the ninth centuries CE. The Sogdians are famous above all for their business acumen. They bought paper, copper and silk in China and sold Persian grapes and silverware, glass, alfalfa, corals, Buddhist images, Roman wool and amber from the Baltic sea. They operated as financial intermediaries too, setting up business deals, organizing caravans, arranging for money to be transferred and invested. While most merchants only traveled quite short distances, Sogdian communities could be found along the entire network of Asian trade routes. 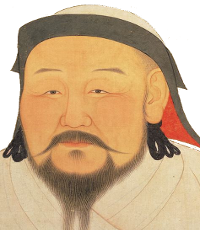 There were Sogdians in Constantinople as well as in Xi’an. 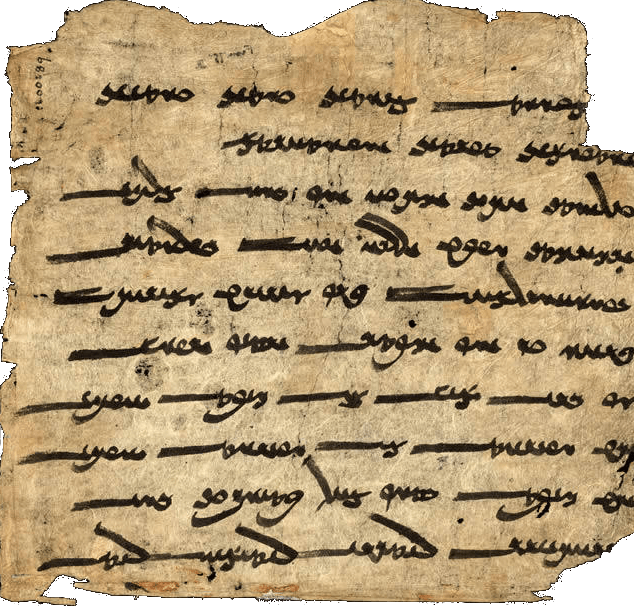 The Sogdian language was the universal language of commerce across the Eurasian landmass. In this way they created a commercial empire which was far bigger than their own Central Asian kingdom. In 1907, the British archaeologist Aurel Stein discovered a pouch of papers in the ruins of an old watch-tower in the Chinese city of Dunhuang, on the edge of the Taklamakan desert. The letters turned out to be far older than anyone could have imagined – from early in the fourth century CE. Unusually, the letters were not written by officials but by ordinary members of the Sogdian business community. One of them, a wealthy merchant, writes to his home-office to give an account of a recent attack by Xiongnu forces; another complains about his business partners who have abandoned him [Read more: “The Xiongnu confederation“] The most touching letter, however, is from a woman, Mewnai, to her mother. She complains that her husband has deserted her and her young daughter and that they are not allowed to leave Dunhuang on their own. “I live wretchedly; without clothing, without money; I ask for a loan, but no-one consents to give me one, so I depend on charity from the priest.” Perhaps her husband perished somewhere along the perilous trade routes. Yet Mewnai’s mother never received the letter. For one reason or another it was left in the watch-tower for close to two thousand years.